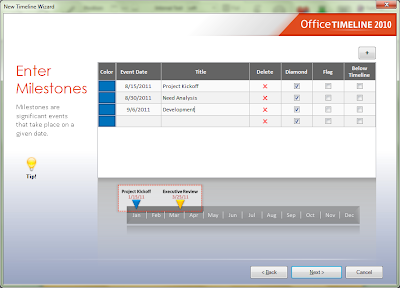 Here is a video to show you how you can create timelines in Office Timeline wizard. 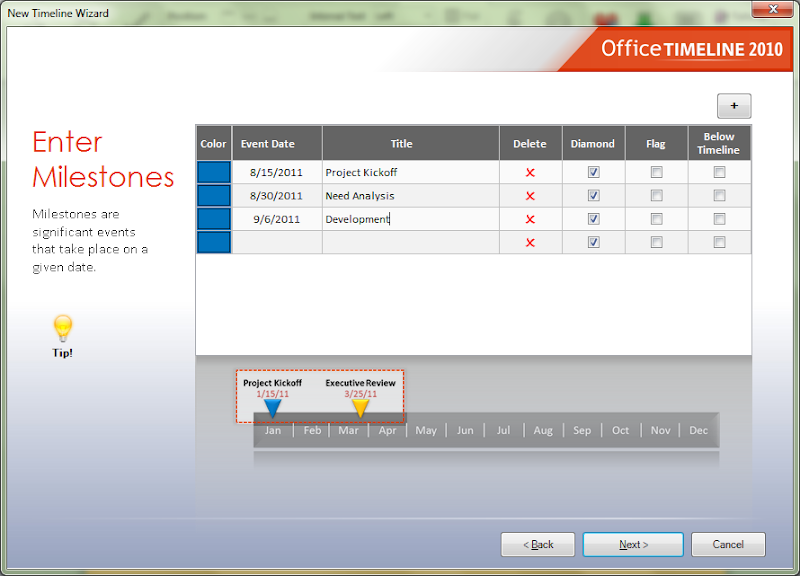 Office Timeline 2010 works on PowerPoint 2007 and PowerPoint 2010. Interesting way to create good content. Is PowerPoint is a best solution for presentations ? What's similar program for Mac?